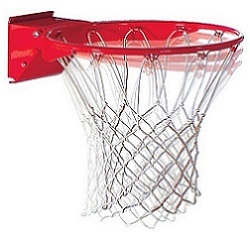 Spalding Basketball Accessories - 411-519 Positive Lock Breakaway Rim. Shipping Included when shipped to the contiguous 48 states. 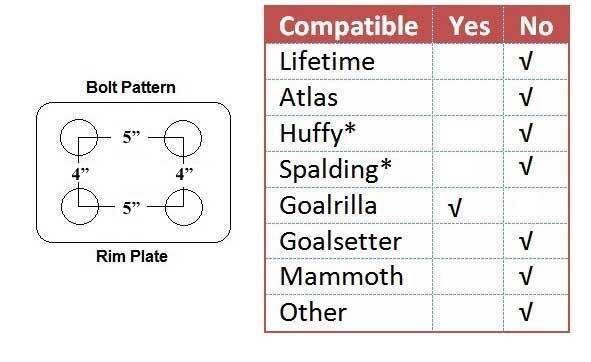 Get one of the best replacement basketball rims in the market for your Spalding basketball system. 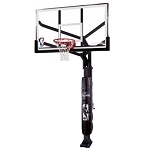 The 411-519 is the positive lock breakaway rim used on several of the Arena View Systems from Spalding. The positive lock mechanism keeps the bearings in place so the rim will snap back into the correct place every time. The color is a professional-looking orange. Great replacement rim for Arena View basketball system. Positive lock mechanism is a better design to keep the bearings in the moving mechanism in place to make sure your rim returns to the proper position every time. Powder Coated orange color finish for a professional look and to help resist rusting. Product weighs about 24 lbs. Packaging Dimensions: 26.40" x 27.17" x 21.26". Product ships via FedEx. Typically leaves the warehouse in 1-2 business days and spends about 3-5 business days in transit. The 411-519 rim is compatible with Spalding models 88880G, 88830G, 88825G, 86724HGP, 86604HGP, 886724FS, 88604AGP, 88724AAP, 88724AGP. 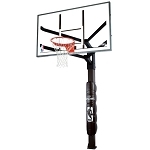 Competitive Edge Products, Inc. is an authorized reseller for Spalding Basketball Accessories. If you find the 411-519 Positive Lock Breakaway Rim for cheaper anywhere else online, please let us know. We will try to match or beat their advertised pricing (price of the product + any shipping costs). Just as advertised. Looks like the rim in my sons junior high. Q: Does this rim have a 5" bolt pattern? A: This has a 4” x 5” bolt pattern. please see the diagram. Fast Shipping: Orders for the Spalding 411-519 generally leave the warehouse within 1-2 business days.